The versatility and timeless polish of bangles make these beloved baubles the ultimate accessory. 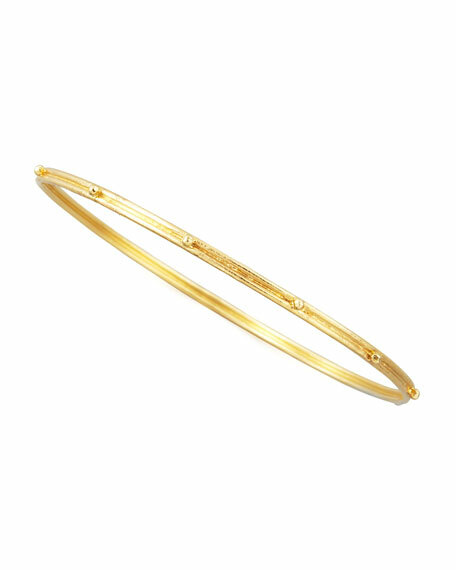 Featuring a luminous warm gold construction, this Armenta bangle will take you from the beach, to brunch, to the ballet. Slim, doubled 18-karat yellow gold bangle. For in-store inquiries, use sku #171031.